If you are injured at work and file a workers’ compensation claim, receiving the compensation you need to recover in comfort is not as simple as proving your injuries. More likely than not, you will be required to answer a series of questions under oath. This type of Q&A session is referred to as a deposition. If the thought of going through the deposition process scares you, you are not alone. Most individuals do not hold up under the type of pressure that a deposition creates, and even if a person is not lying, the interrogation can make it feel as if the insurance company thinks he or she is. However, it is important to make it through the deposition process without any slip ups, as even the most seemingly innocent statement can ruin your chances of recovering workers’ compensation. At Barbas, Nuñez, Sanders, Butler & Hovsepian, our Tampa workers’ compensation attorneys know exactly what to expect in a workers’ compensation deposition. If you want to ensure that your questioning goes smoothly and that you walk away with the compensation you deserve, the information in this post may be of help to you. According to Florida Statute 440.30, deposition typically takes place in a small conference room at a law firm, either yours or the insurance company’s. Only a handful of people will be present—you, your attorney, insurance agency representatives, the insurance company’s lawyer, and a court reporter. Though a judge will not be present, you will be testifying under oath. The deposition will be used as evidence, and if it is discovered that were dishonest about anything, you will be in as much trouble as if you had lied in court. The interrogation will begin with questions about your background and prior injuries and will eventually lead up to how the accident in question occurred, what type of treatment your doctor recommends, and current limitations put in place by your physician. When under oath, there are certain things you should and should not do. If you want to ensure that your deposition goes smoothly, consider the following advice. In order for the court reporter to create a report that can be used as evidence in your favor, he or she needs to hear and type everything perfectly. If you and the lawyer talk over each other, it can be difficult for the reporter to record everything verbatim, and he or she might leave out a vital piece of information. The best thing to do for everyone is to let the lawyer finish the question before you begin to give your answer. Treat the disposition as you would a phone call—nods and shakes of the head will not do, and neither will incomprehensible “uh-huhs.” Remember, the court reporter needs to record every single one of your responses, which can be difficult if one of your responses is non-verbal. He or she may be looking down at the typewriter when you nod your head, or not paying attention when you shake your head no. Give clear “yes” or “no” answers to questions that require it. Additionally, when addressing your injuries, be specific. Do not just indicate that your leg is numb and you cannot walk on it; rather, indicate which leg in question is affected and where on the leg the pain is the greatest. If you do not understand a question, do not try to answer it just to appease the lawyer and the reporter. If you do so without fully understanding the question, you may unwittingly sabotage your case. Ask the lawyer to rephrase confusing questions, and if you do not know an answer, say so. Do not try to make up an answer. You may be tempted to try and make your point by offering information about your injury or the accident even when a question does not pertain to either of those things. A good rule of thumb to keep in mind is: answer only the question asked and no more. If the lawyer wants to understand more about your injury, he or she will ask more specific questions. Until he or she does, keep your answers short. The insurance agency’s lawyer will likely try and use his or her position of interrogator to draw privileged information out of you. 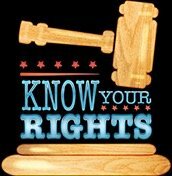 If this happens, your attorney should step in and object, but it does not hurt to discuss what and what information you do not have to share with your lawyer ahead of time. The most important rule to keep in mind is to keep calm. You know that you are a credible person, but the insurance agency’s lawyer does not. If you want to come off as the honest individual you claim to be, stay calm, polite, and clear throughout the duration of the deposition. If you feel yourself becoming agitated during questioning, ask for a short recess so that you can collect yourself before resuming. 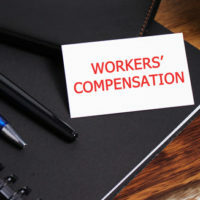 If your workers’ compensation claim is in dispute, it would be in your best interests to hire a Tampa workers’ compensation lawyer. An attorney can prepare you for the deposition and attend the session to ensure that the insurance company’s lawyer does not overstep his or her boundaries. Do not leave your workers’ compensation claim up to chance, and reach out to Barbas, Nuñez, Sanders, Butler & Hovsepian to discuss your case today.